The EOS C300 Mark II Digital Cinema Camera is a 2nd generation Cinema EOS 4K camera system with a wide range of features including 4K/2K/Full HD internal and external recording (including 4K RAW output) and a new 10-bit Canon Log 2 Gamma. This powerful camera also features an expanded dynamic range of 15 stops, improved Dual Pixel CMOS Autofocus, innovative focus assist engineering and CFast recording technology. 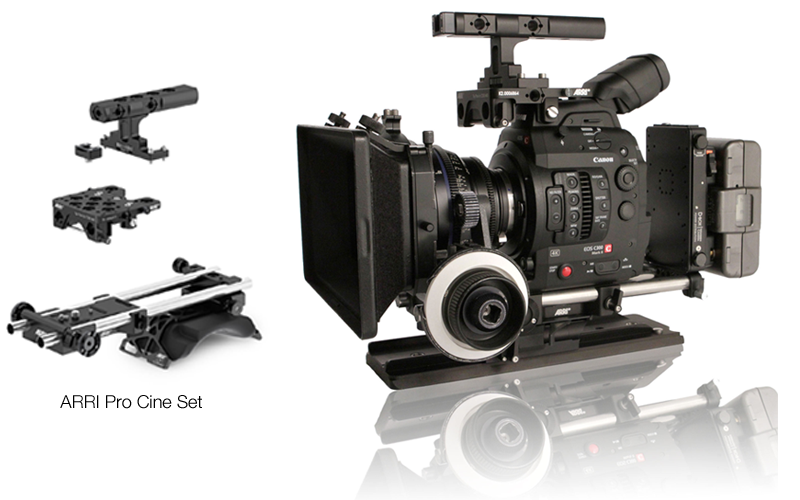 Additional accessories pictured are: ARRI LMB-5, ARRI LFD, Wooden Camera D-Box and Anton Bauer HC battery.